I’ve written an article published in The Guardian about the true-life crime that sparked the narrative behind my new novel Chasing the Game. 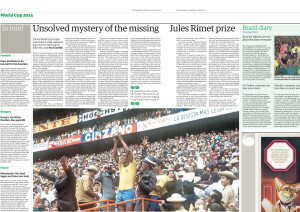 The colourful, in-depth feature describes the theft of the Jules Rimet (World Cup) trophy in London in 1966, as well as dramatic events in Rio in 1983 when the trophy was stolen once again, never to be recovered. 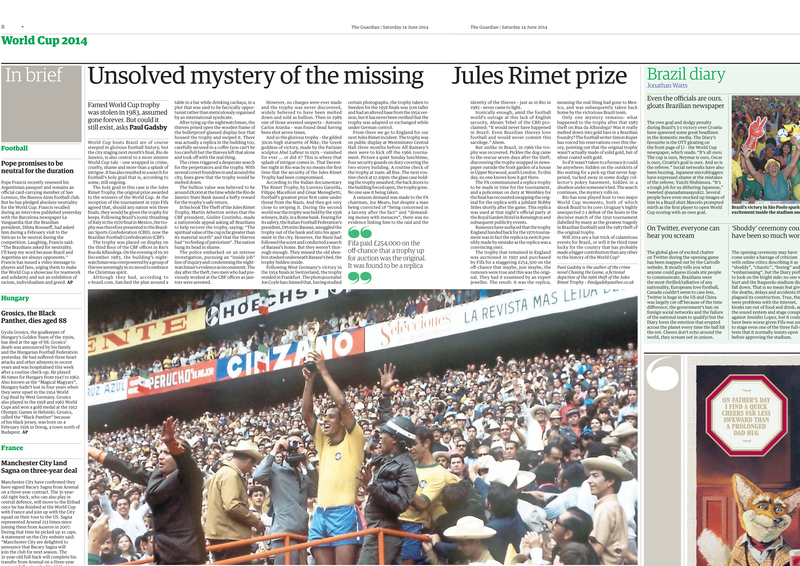 The full article in The Guardian, titled ‘World Cup mystery: what happened to the original Jules Rimet trophy’ can be found by clicking here. Another feature I wrote about the 1966 theft was published in the London Metro newspaper – ‘Holding the 1966 World Cup to ransom: The curious theft of the Jules Rimet trophy’ can be found here. To read more about Chasing the Game and the real-life crime that influenced its narrative, please click here. Chasing the Game can be ordered from the publisher Matador here, or on Amazon (paperback version) or ebook (just £1.99). The book has already received several rave reviews in the media, including from Britain’s biggest crime website Crime Fiction Lover and the highly revered Crime Time. To read a summary of those and more glowing reviews for Chasing the Game, please click here. “If you’re in the market for historical crime fiction with a lot of heart, Gadsby’s your man” – is the conclusion of the latest review of my debut novel, Chasing the Game. 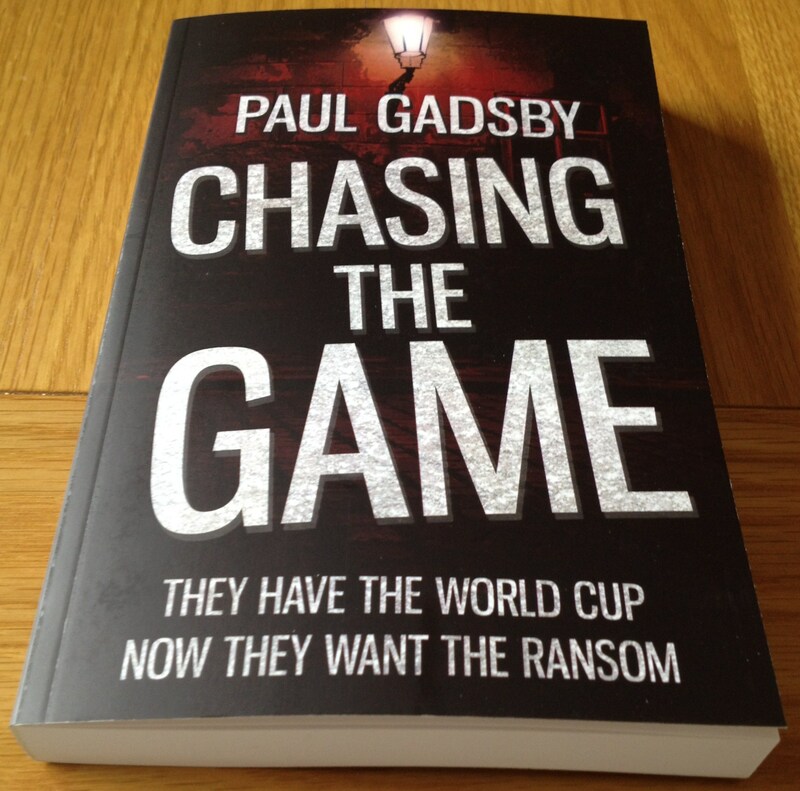 The full review of Chasing the Game on ‘Of Pitch & Page’ can be found here. “There’s a lot to like here, a hell of a lot. Gadsby knows the mechanics of drama, and he gives his protagonist problems before the first page, so that the tale he’s telling seems like a small part of a wider canvas. . . Dale’s a sympathetic character, a man out of his depth, and we genuinely feel for him in his Harold Shand moment. “Gadsby is a writer by trade, but this is his debut novel, and he has a focused control over his material. He knows his story, and knows how to tell it. A lot of new authors – you can tell they’ve not rewritten and then edited enough. They’ve not gone through the manuscript again and again, removing every superfluous phrase, every redundant word. Gadsby has removed every bobble and clump from the page, so that the writing is as smooth as a lawn in Chelsea. 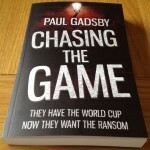 The full review of Chasing the Game on the ‘Crime Thriller Fella’ website can be found here. One of Britain’s biggest crime fiction websites, Crime Fiction Lover, also loved the book, reviewer David Prestidge saying: “I thoroughly enjoyed this book. The prose is unpretentious, brisk, and will move the reader through the 200-odd pages with minimal effort. Gadsby has taken a real-life event that remains a mystery to this day, and provided a perfectly plausible, well-timed and entertaining fictional account.” That full review on Crime Fiction Lover can be found here. Other excellent reviews have greeted Chasing the Game’s release, not least from the highly-revered Crime Time website as well as critically acclaimed author Guy Portman and blogger ‘Book Addict Shaun’. So far on Amazon, the book has attracted ten reviews; nine of them 5 star and one 4 star. To read more about Chasing the Game and the true crime that influenced its narrative, please click here. This weekend I was a guest on Radio Northants, where I talked about my new book Chasing the Game. Joining host Lindsey Samples on her Sports Saturday show, I was asked about the inspiration behind the book and the plotting that went into creating the narrative. We also talked about the World Cup, which starts this week, where I was put on the spot to predict a winner; Argentina were my choice, so let’s see how that works out! For more details about Chasing the Game, a fictional depiction of the real-life theft of the Jules Rimet Trophy (football World Cup) in London in 1966, please click here. For more details about Radio Northants, please click here. An audible recording of the interview will be available here soon. This weekend I appeared at the opening night of the Festival of Football Ideas to talk about my new crime novel Chasing the Game. 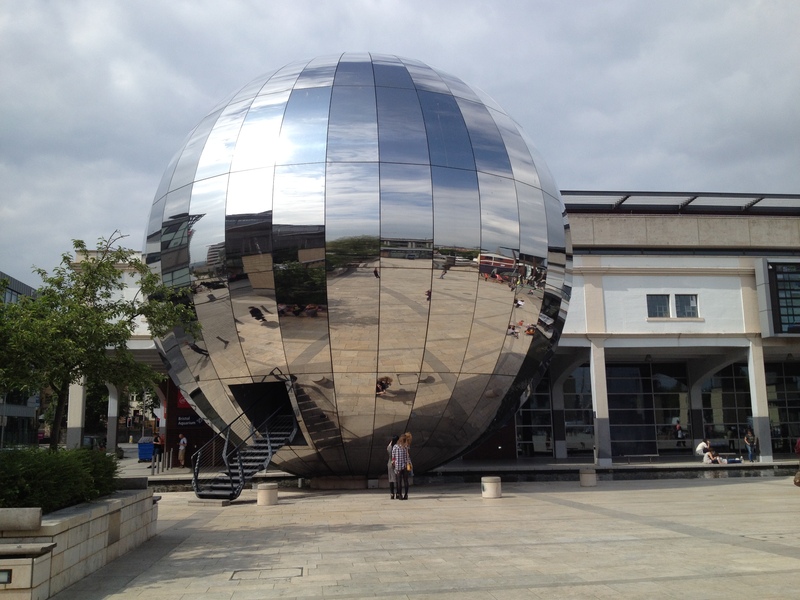 The two-week event, held at the enchanting Bristol Planetarium (pictured) on the eve of the 2014 World Cup, is a celebration of how literature, art, film, music and comedy can connect with football. My talk, within a section called ‘Altering the narrative’, was titled ‘Chasing the Game – A Creative Twist on the Theft of the Jules Rimet Trophy’. I spoke about how I used aspects of the real-life theft of the Jules Rimet (World Cup) Trophy in London in 1966 and combined them with fictional elements to create Chasing the Game, a dramatic and gripping depiction of this famous crime that remains unsolved to this day. The Festival, running each night until Saturday 14 June, will feature further talks and performances from artists, writers, poets, academics, musicians and comedians. Full details of all the exciting events are available at the Festival’s website here. The Festival is a not-for-profit event created and run by a group of volunteers for the love of football and art. A review of my appearance on the Festival of Football Ideas official blog can be found here. Chasing the Game is available now and can be ordered from the publisher Matador here, or on Amazon (paperback version) or ebook (just £1.99).